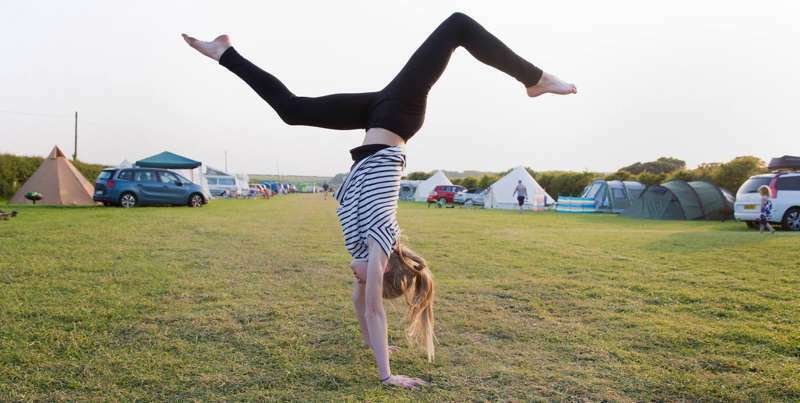 30 camping pitches as well as glamping options just minutes from the beach and with a brilliant on-site café. This stretch of Wales' recently opened national coastal trail takes in some of the country's most spectacular scenery. 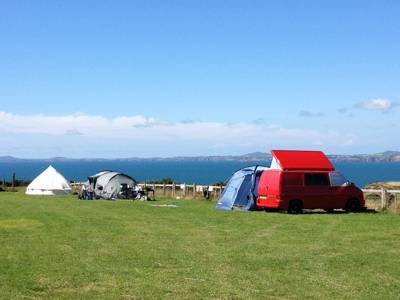 This traditional, 29 acre, cliff-top dairy farm at Druidston is a breathtaking, back-to-basics site that makes the ideal camp for those exploring the unspoilt Pembrokeshire coast. Narrow-gauge steam railway station, countryside views, gorgeous riverside setting. What's not to love?! Knock-out sea views, the warmest of welcomes, a beach within reach, direct access onto the Pembrokeshire Coast Path: all just four miles from Britain’s tiniest city, St David’s. 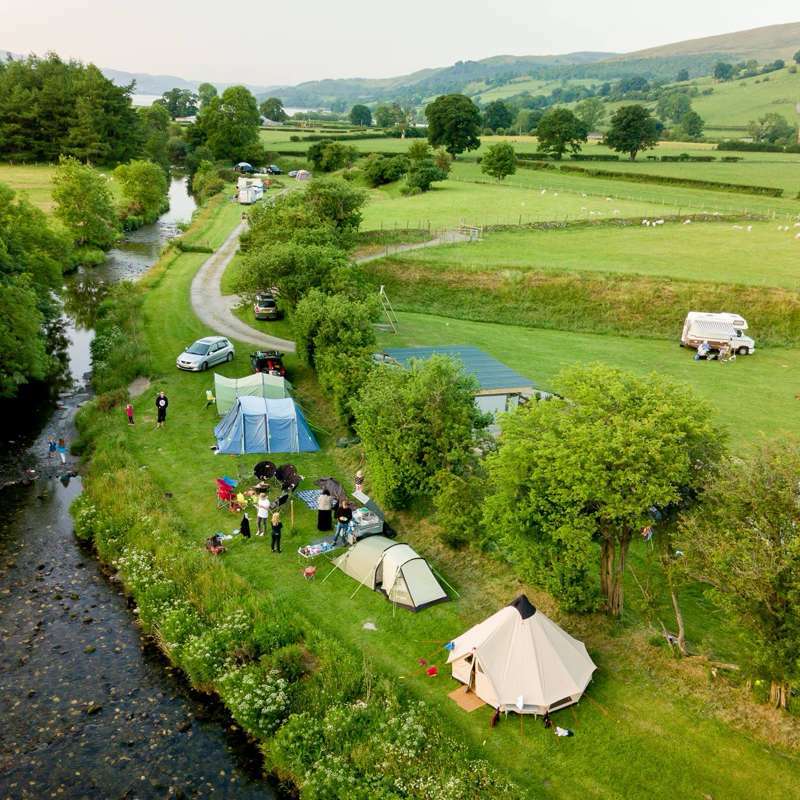 Riverside camping and glamping with canoes for hire, a pub within walking distance and the famous book town of Hay-on-Wye just around the corner. 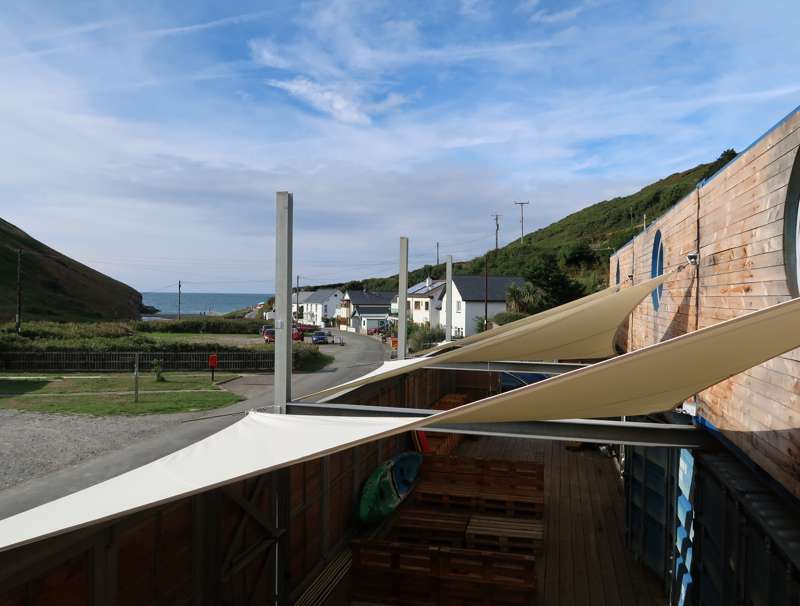 A basic, peaceful, family-friendly campsite in Pembrokeshire, where campfires are welcome and the sea, sand and surf of the Welsh coast are within easy reach. Peace and tranquility reign supreme at this tents-only site in the heart of the Brecon Beacons. Camping and glamping in secluded pitches on top of the world in Pembrokeshire. Views don’t get much better than this. 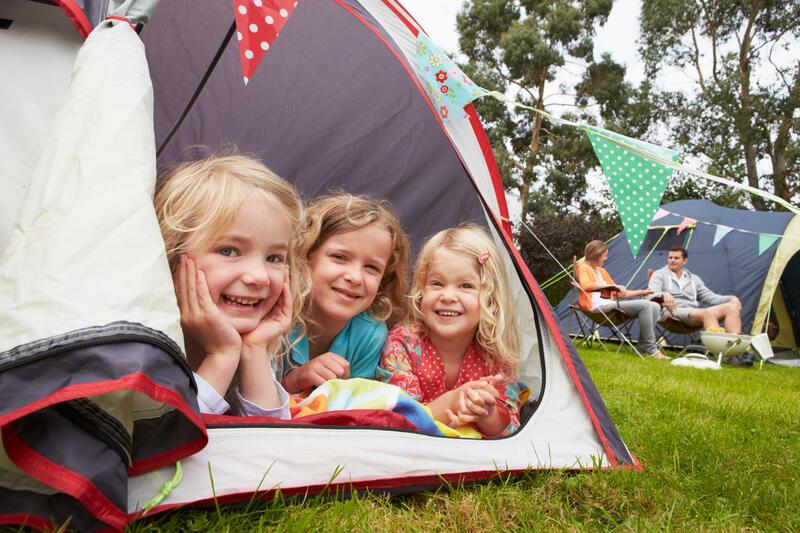 A tiny, family-friendly campsite on the southern Pembrokeshire coast. 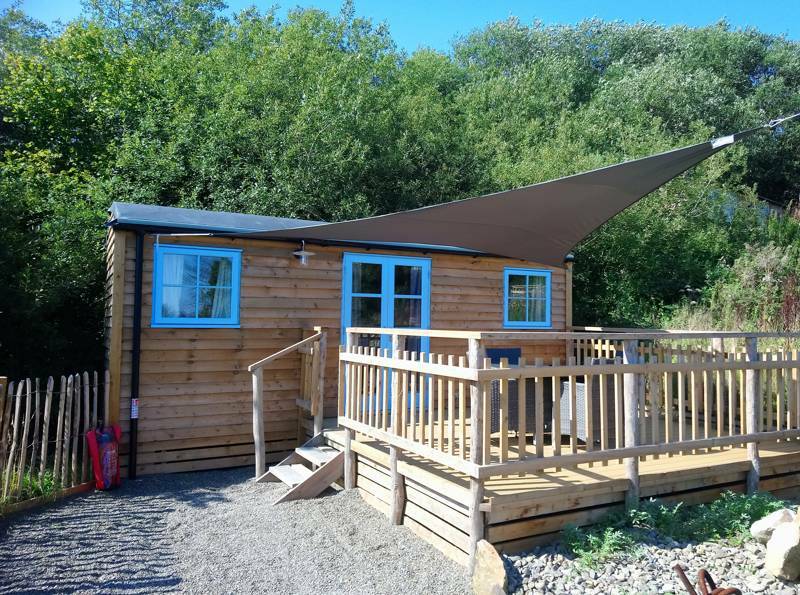 Nestled in sleepy Pembrokeshire, yet still conveniently close to the regions finest sights, Dews Lake Farm is the perfect choice for campers wanting to enjoy the wonders of Western Wales. Care-free Welsh camping with acres of space, excellent walks and a beautiful woodland on the doorstep. Wales' westernmost campsite, boasting stunning views overlooking Ramsey Sound on the Pembrokeshire Coast. Sloeberry Farm, Blaenannerch, Aberporth Ceredigion. Glamping on a former farm and working mill with a private lake, plenty of space to explore and stunning views across the Welsh countryside. Sloeberry Farm, Sloeberry Farm, Blaenannerch, Aberporth Ceredigion. A pretty spot run by a seriously special couple. With climbing frames and farmyard animals (including 2 super-cute Shetland ponies called Cadog and Carreg) to amuse the kids, in countryside dotted with castles. A pretty spot run by a seriously special couple. With climbing frames and farmyard animals to amuse the kids, in countryside dotted with castles. Set between sea and mountains, this Conwy coast campsite takes some beating in the location leagues. Family-sized, hillside safari tents situated in one of Wales most historic tourist attractions in the spectacular heart of Snowdonia. 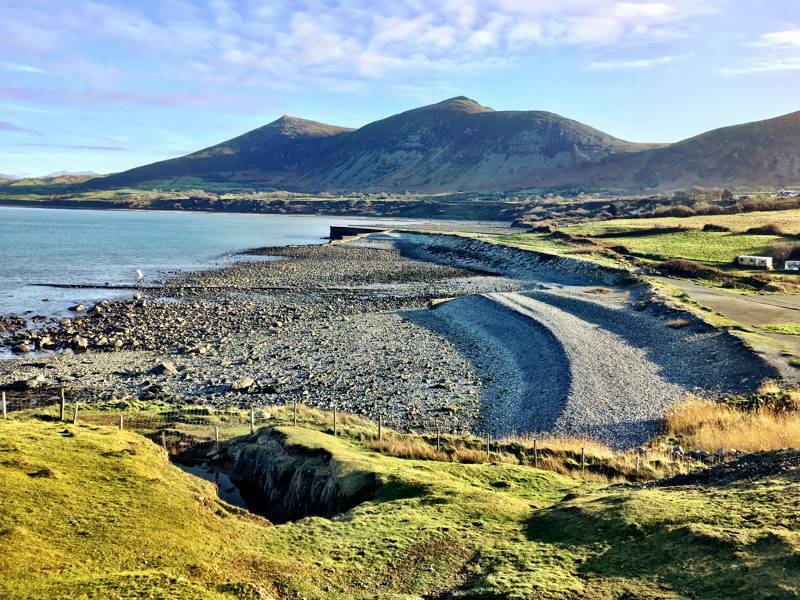 A prime location on the very tip of the beautiful Llyn Peninsula in North Wales. A pretty and oh so friendly little tent and yurt-site just a short walk from the beaches of the Pembrokeshire coast. 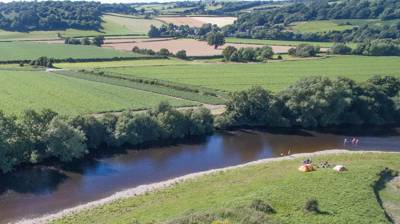 Riverside camping and glamping on the edge of the River Wye where nature abounds. Pod glamping and family camping on the edge of the Brecon Beacons, with a handy location near Brecon town and sunrises you'll never forget. Tucked away down a quaint country lane, Cwm Ty Coed can be found in one of Carmarthenshire’s more secluded pockets, with panoramic views of rolling countryside and magical woodlands. Two glamping bell tents nestled on the banks of the River Teifi in West Wales. Mongolian-style yurts in a meadow, a nine-seater glamping aeroplane - plus a saucer-shaped UFO coming down to earth in 2018. An idyllic, wooded, Wye Valley escape, offering glamping pods, a treehouse and traditional camping, all equidistant from Snowdonia and the Brecon Beacons. Blissfully basic, tent-only camping meadows on a 72-acre Pembrokeshire farm with forests, fields, flora and fauna and endless space to roam. Camping and glamping on the Pembrokeshire coast, with the enchanting grounds of a country estate to explore next door. Wonderfully back-to-basics tent camping in Pembrokeshire, hidden among the thicket and fauna at the end of a secluded lane. 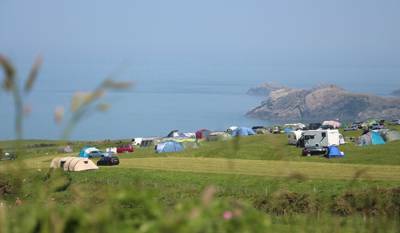 Camping and glamping with immaculate facilities, wood-fired pizzas, and sea views to and Abereiddy and Porthgain. A retreat in every sense, peace and quiet are the order of the day at this welcoming Mid-Wales haven. Back-to-basics tent camping on a working farm that produces the finest homemade ice-cream for miles! Quaint riverside bell tent camping in the grounds of an excellent, National Trust-owned, community-run pub. Why is this place cool? Luxury yurts, campfires, birdwatching, Offa’s Dyke Path, stars… take your pick. Leave it to your kids’ imagination when it comes to this site. Rocky outcrops and magical valleys. It’s a proper fairytale of a site. We collected eggs, cuddled cows, swam in the sea and sat out under the stars. Lovely. Glamp in the woods or pick a tent in the open wildflower meadow, all within walking distance of Millford Haven's natural harbour. Unassuming little site tucked away in one of the least visited corners of Pembrokeshire. Mongolian yurt glamping in one of the most beautiful parts of Powys, with only sheep for company. Cosy, family-friendly safari lodges beside a beautiful pond, each with a wood-fired hot tub. Romantically cosy camping cabins on Pembrokeshire's 'Secret Waterway'. A labour of love; conceived, designed, constructed and planted by Fran and Tony. And all that work so you can relax in quiet splendour. Enjoy the breathtaking scenery of the Pembrokeshire coast with walks along rugged cliff tops, secluded coves and wide-open beaches. Riverside camping and bell tents at this well-run spot that's ideally located for exploring Pembrokeshire. Über luxurious glamping at the foothills of the Brecon Beacons – just as glamping should be. Private hillside glamping in the Conwy Valley, with exclusive use of two luxury shepherds' huts, including a wood-burning sauna. Camping and rustic glamping in a working boatyard with an exceptional waterside location on the Dyfi estuary. Two glamping cabins tucked in a vast organic gardens in the foothills of the Berwyn Mountain Range, Wales. © 2017 Tripadee Ltd, All rights reserved. No part of this site may be reproduced without our written permission.